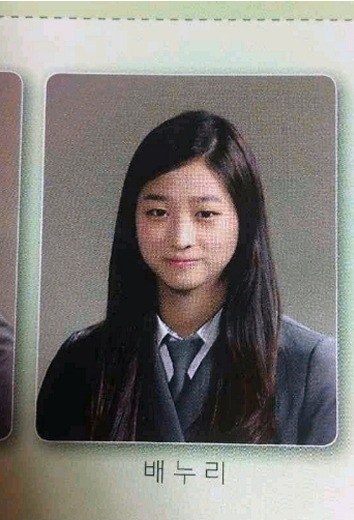 The graduation photos of Bae Noo Ri were made public, attracting the attention of netizens. On February 24th, 2012, the graduation photos from ten years ago of Bae Noo Ri who is playing the role of well loved Jan Shil in MBC drama The Moon that Embraces the Sun were published on a community board. In the photos, the fair skin and long long hair of Bae Noo Ri attracted the public’s eye. Especially the photos show the contrasting the image with the image in TV series The Moon Embracing the Sun, amazed the netizens. After watching the photos of Bae Noo Ri, netizens said, “Looks like not having double-eyelids?” “So cute” and so on. Bae Noo Ri is currently starring the role Jan Shil who is a shaman of state shaman Jang Nok Young in MBC drama The Moon Embracing the Sun, receiving much audience attention.